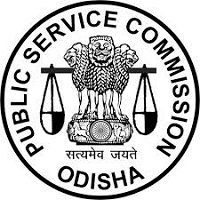 OPSC Recruitment 2019 – Odisha Public Service Commission (OPSC) job notifications for 67 Assistant Conservator of Forest & Forest Ranger(Group-B) vacancies. The detailed eligibility and application process are given in below. Educational Qualification: Bachelor’s Degree from a recognized University or Institution in India with at least one of the following subjects namely, Botany, Chemistry, Geology, Mathematics, Physics, Statistics, Veterinary Science and Animal Husbandry and Zoology or a Bachelor’s Degree in Agriculture, Forestry or in Engineering or an equivalent qualification. Age Relaxations: 5 years relaxed for SC/ST/SEBC, Women & Ex-Servicemen candidates. Examination Centre: Cuttack, Bhubaneswar/ Balasore/ Berhampur/Sambalpur. How to apply for OPSC Recruitment 2019? All interested and eligible candidates can apply for this position in online from 15 February 2019 to 14 March 2019.